This article is about the college in New York state. For the affiliated "early college" in Massachusetts, see Bard College at Simon's Rock. Founded in 1860, the institution consists of a liberal arts college and a conservatory, as well as eight graduate programs offering over 20 graduate degrees in the arts and sciences. The undergraduate student-to-faculty ratio is 10:1. The college has a network of over 35 affiliated programs, institutes, and centers, spanning twelve cities, five states, seven countries, and four continents. During much of the nineteenth century, the land now owned by Bard was mainly composed of several country estates. These estates were called Blithewood, Bartlett, Sands, Cruger's Island, and Ward Manor/Almont. 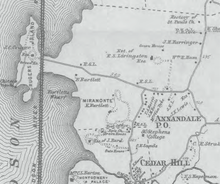 In 1853, John Bard and Margaret Bard purchased a part of the Blithewood estate and renamed it Annandale. 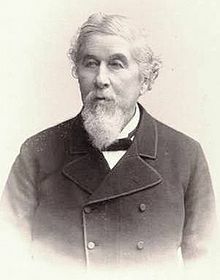 John Bard was the grandson of Samuel Bard, a prominent doctor, a founder of Columbia University's medical school, and physician to George Washington. John Bard was also the nephew of the Rev. John McVickar, a professor at Columbia University. The family had strong connections with the Episcopal Church and Columbia. The following year, in 1854, John and Margaret established a parish school on their estate in order to educate the area's children. A wood-frame cottage, known today as Bard Hall, served as a school on weekdays and a chapel on weekends. In 1857, the Bards expanded the parish by building the Chapel of the Holy Innocents next to Bard Hall. During this time, John Bard remained in close contact with the New York leaders of the Episcopal Church. The Church suggested that he found a theological college. With the promise of outside financial support, John Bard donated the unfinished Chapel, and the surrounding 18 acres (7.3 ha), to the diocese in November 1858. In March 1860, St. Stephen's College was founded. In 1861, construction began on the first St. Stephen's College building, a stone collegiate gothic dormitory called Aspinwall. During its initial years, the college relied on wealthy benefactors, like trustee Cornelius Vanderbilt for funding. The college began taking shape within four decades. In 1866, Ludlow Hall, an administrative building, was erected. Preston Hall was built in 1873 and used as a refectory. A set of four dormitories, collectively known as Stone Row, were completed in 1891. And in 1895, the Greek revival Hoffman Memorial Library was built. The school officially changed its name to Bard College in 1934 in honor of its founder. In the 20th century, social and cultural changes amongst New York's high society would bring about the demise of the great estates. In 1914, Louis Hamersley purchased the fire-damaged Ward Manor/Almont estate and erected a Tudor style mansion and gatehouse, or what is today known as Ward Manor. Hamersley expanded his estate in 1926 by acquiring the abandoned Cruger's Island estate. That same year, after Hamersley's combined estate was purchased by William Ward, it was donated to charity and served as a retirement home for almost four decades. By the mid-1900s, Bard's campus significantly expanded. The Blithewood estate was donated to the college in 1951, and in 1963, Bard purchased 90 acres (36 ha) of the Ward Manor estate, including the main manor house. The rest of the Ward Manor estate is now the 900-acre (360 ha) Tivoli Bays nature preserve. In 1919, Fr. Bernard Iddings Bell became Bard's youngest president at the age of 34. His adherence to classical education, decorum, and dress eventually clashed with the school's push towards Deweyism and secularization, and he resigned in 1933. In 1928, Bard merged with Columbia University, serving as an undergraduate school similar to Barnard College. Under the agreement, Bard remained affiliated with the Episcopal Church and retained control of its finances. The merger raised Bard's prestige; however, it failed to provide financial support to the college during the Great Depression. So dire was Bard's financial situation that in 1932, then-Governor of New York and College trustee Franklin D. Roosevelt sent a telegram to the likes of John D. Rockefeller, Jr., George Eastman and Frederick William Vanderbilt requesting donations for the college. On May 26, 1933, Dr. Donald Tewksbury, a Columbia professor, was appointed dean of the College. Although dean for only four years, Tewksbury had a lasting impact on the school. Tewksbury, an educational philosopher, had extensive ideas regarding higher education. While he was dean, Tewksbury steered the college into a more secular direction, and changed its name from St. Stephens to Bard. He also placed a heavy academic emphasis on the arts, something atypical of colleges at the time, and set the foundations for Bard's Moderation and Senior Project requirement(see below). While Tewksbury never characterized Bard's curriculum as "progressive," the school would later be considered an early adopter of progressive education. In his 1943 study of early progressive colleges, titled General Education in the Progressive College, Louis T. Benezet used Bard as one of his three case studies. During the 1940s, Bard provided a haven for intellectual refugees fleeing Europe. These included Hannah Arendt, the political theorist, Stefan Hirsch, the precisionist painter; Felix Hirsch, the political editor of the Berliner Tageblatt; the violinist Emil Hauser; the linguist Hans Marchand; the noted psychologist Werner Wolff; and the philosopher Heinrich Blücher. Arendt is buried at Bard, as is eminent novelist Philip Roth. In 1944, as a result of World War II, enrollment significantly dropped putting financial stress on the college. In order to increase enrollment, the college became co-educational, thereby severing all ties with Columbia. The college became an independent, secular, institution in 1944. Thus enrollment more than doubled, from 137 students in 1944, to 293 in 1947. In the 1950s, with the addition of the Blithewood estate and Tewksbury Hall, the college would increase its enrollment by 150 students. A police raid on Bard in 1969 led alumni Donald Fagen and Walter Becker to write the 1973 song "My Old School" for their rock group, Steely Dan. Novelist, artist and former Bard faculty spouse Rikki Ducornet has said she believes Fagen wrote another Steely Dan song, "Rikki Don't Lose That Number", about her. In 1975, after serving as the youngest college president in history at Franconia College, Leon Botstein was elected president of Bard. He is generally credited with reviving the academic and cultural prestige of the college. He has overseen a major expansion of the college. In Annandale, the student population has increased by over 400 percent while several signature postmodern buildings have been constructed, including the Gehry-designed Fisher Center, the Venturi-designed Stevenson Library addition, and the Viñoly-designed Reem-Kayden Center for Science and Computation. In addition, over 35 affiliated institutes, centers, and programs, located locally, nationally, and internationally, have been created during Botstein's tenure. Faculty offices are located in Warden's Hall. 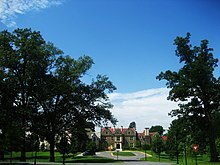 The campus of Bard College is in Annandale-on-Hudson, a hamlet in Dutchess County, New York, United States, in the town of Red Hook. It contains more than 70 buildings with a total gross building space of 1,167,090 square feet. Campus buildings represent varied architectural styles, but the campus remains heavily influenced by the Collegiate Gothic and Postmodern styles. Bard’s historic buildings are associated with the early development of the college and the history of the Hudson River estates (see Bard College History). During a late twentieth-century building boom, the college embraced a trend of building signature buildings designed by prominent architects like Venturi, Gehry, and Viñoly. In January 2016, Bard purchased Montgomery Place, a 380-acre estate adjacent to the Bard campus, with significant historic and cultural assets. The estate consists of a historic mansion, a farm, and some 20 smaller buildings. The College purchased the property from Historic Hudson Valley, the historical preservation organization that had owned Montgomery Place since the late 1980s. The addition of this property brings Bard’s total campus size to nearly 1,000 acres along the Hudson River in Annandale-on-Hudson, New York. Bard is a college of the liberal arts and sciences. In the undergraduate college, Bard offers Bachelor of Arts and Bachelor of Science degrees. There are 23 academic departments that offer over 40 major programs, as well as 12 interdisciplinary concentrations. The college was the first in the nation to offer a human rights major. In the 2011–2012 academic year, the college held 1,345 classes. In the three weeks preceding their first semester, first-year students attend the Language and Thinking (L&T) program, an intensive, writing-centered introduction to the liberal arts. The interdisciplinary program, established in 1981, aims to "cultivate habits of thoughtful reading and discussion, clear articulation, accurate self-critique, and productive collaboration." The program covers philosophy, history, science, poetry, fiction, and religion. In 2011, the core readings included works by Hannah Arendt, Franz Kafka, Frans de Waal, Stephen Jay Gould, Clifford Geertz, M. NourbeSe Philip, and Sophocles. During their winter intercession, first-year students must also participate in the Citizen Science program, a three-week program that began in 2011. The Citizen Science program introduces students to science and the ideas of the scientific method. The program is designed to promote science literacy and utilizes the theme of infectious disease: the importance of infectious disease in a community, and the impact that infectious disease outbreaks and subsequent management can have on our global society. The curriculum ranges from conducting laboratory experiments and analyzing a scientific problem, to modeling potential solutions to that problem. The program merges three distinct, yet thematically interwoven, rotations, each designed to address a large question: How can we reduce the global burden of infectious disease? All first-year students take the "First-Year Seminar," a year-long, reading and writing core curricular course. "FYSem," as it is commonly known among students and faculty, begins in the fall semester of the freshman year. The first semester spans thinkers from Confucius to Galileo, while the second semester spans John Locke to Virginia Woolf. There are nearly thirty sections of the course each semester, taught by a wide variety of professors, including President Botstein and other members of the administration. The course covers works by Plato, Virgil, Saint Augustine, Dante, William Shakespeare, Galileo Galilei, Jean Jacques Rousseau, Mary Shelley, Karl Marx, Charles Darwin, Friedrich Nietzsche, W. E. B. Du Bois, Sigmund Freud, Virginia Woolf, Chinua Achebe, and Primo Levi. Another mandatory process of the college is moderation. Moderation typically takes place in the fourth or fifth semester, as a way of choosing a major. Conditions vary from department to department and most require the completion of a certain set or a certain number of courses. To moderate, the student presents whatever work is required to a moderation board of three professors, and is subsequently interviewed, examined, and critiqued. The capstone of the Bard undergraduate experience is the Senior Project, commonly referred to as SPROJ amongst its students. As with moderation, this project takes different forms in different departments. Many students write a paper of around eighty pages, which is then, as with work for moderation, critiqued by a board of three professors. Arts students must organize a series of concerts, recitals, or shows, or produce substantial creative work; math and science students, as well as some social science students, undertake research projects. In its 2018 edition of college rankings, U.S. News and World Report ranked Bard 46th among liberal arts colleges in the United States In 2011, Newsweek ranked Bard as the 11th most rigorous and twenty-second most artistic. In September 2011, Travel+Leisure named the college as one of the most beautiful campuses in the United States. For the class of 2020, 65% of applicants were accepted. The median SAT score was 645 in critical reading and 610 in math. Eighty-nine percent of matriculating students ranked in the top 10% of their high school class out of those who reported. The class of 2020 included students from 38 states and 23 countries. Bard has developed several innovative graduate programs and research institutes, including the Milton Avery Graduate School of the Arts, the Levy Economics Institute which began offering a Masters of Science in Economic Theory and Policy in 2014, the Center for Curatorial Studies and Art in Contemporary Culture, the Bard Center for Environmental Policy, the Bard College Conservatory of Music, the ICP-Bard Program in Advanced Photographic Studies in Manhattan, the Master of Arts in Teaching Program (MAT), the Bard College Clemente Program, and the Bard Graduate Center in Manhattan. The college's Richard B. Fisher Center for the Performing Arts was designed by acclaimed architect Frank Gehry, and was completed in the spring of 2003. In 1990, Bard College acquired, on permanent loan, art collector Marieluise Hessel's substantial collection of important contemporary artwork. 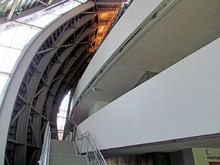 In 2006, Hessel contributed another $8 million (USD) for the construction of a 17,000-square-foot addition to Bard's Center for Curatorial Studies building, in which the collection is exhibited. The Bard Prison Initiative provides a liberal arts degree to incarcerated individuals (Prison education) in five prisons in New York state, and currently enrolls nearly 200 students. Since federal funding for prison education programs was eliminated in 1994, the BPI is one of only a small number of programs in the country of its kind. Bard College is also affiliated with Bard College at Simon's Rock, the nation's oldest and most prestigious early college entrance program; Bard High School Early College, which has campuses in Manhattan, Queens, and Newark; as well as Bard Center for Environmental Policy. Bard also helped construct a curriculum for Smolny College, Russia's first liberal arts college, with St. Petersburg State University. Additionally, the college hosts the Bard Globalization and International Affairs (BGIA) Program in New York City, which is focused on the specialized study of human rights law, international relations ethics, civil society, humanitarian action, and global political economy. Students attend seminar classes in the evenings and work at a substantive international affairs internship during the day. BGIA publishes BardPolitik, a semiannual international affairs journal featuring contributions for students and academics. The program was founded in September 2001 to advance the study and practice of international affairs. Bard awards the Bard Fiction Prize annually to "a promising emerging writer who is an American citizen aged 39 years or younger at the time of application." The prize is $30,000 and an appointment as writer-in-residence at the college. The Hannah Arendt Center for Politics and Humanities is located at Bard College. The Center hosts an annual public conference, offers courses, runs various related academic programs, and houses research fellows and is directed by Dr. Roger Berkowitz, a legal scholar and an associate professor of politics, philosophy, and human rights. Bard College also houses the Center for the Study of the Drone, which promotes research and public awareness about new and emerging drone technologies. In February 2009, Bard announced the first dual degree program between a Palestinian university and an American institution of higher education. The College entered into a collaboration with Al-Quds University involving an honors college, a masters program in teaching and a model high school. In accordance with AlQuds-Bard requirements, students are not allowed to decide their major during the first year of their studies; instead, as a liberal arts college, students are advised to diverge in different classes that would allow them to decide what program they would like to take interest in as in the following year. Students are encouraged to look upon different classes to help them decide the subject they would mostly enjoy studying. Bard gives students the opportunity to dissect different programs before committing to a specific major. As a policy, throughout a student's undergraduate years, they must distribute their credits amongst different courses so that they can liberally experience the different courses Bard has to offer. In March 2010, Bard established an official partnership with American University of Central Asia located in Bishkek, Kyrgyzstan. The partnership will allow students of American Studies, Anthropology, Economics, European Studies, International and Comparative Politics, Journalism and Mass Communications, Psychology, Sociology and Software Engineering programs to receive liberal arts degrees fully accredited in the United States. In June 2011, Bard officially acquired the Longy School of Music in Boston, and in November 2011, Bard took ownership of the ″European College of Liberal Arts″ in Berlin, Germany to become Bard College Berlin. In 2013, Bard entered into a comprehensive agreement with Soochow University in Suzhou, China that will include a joint program between the Soochow University School of Music and the Bard College Conservatory of Music, exploration leading to the establishment of The Bard College Liberal Arts Academy at Soochow University, and student exchange. In 2015, Bard President Leon Botstein founded The Orchestra Now (TŌN), a pre-professional orchestra and master’s degree program at Bard College. TŌN performs regularly at such venues as Carnegie Hall, Lincoln Center, and The Metropolitan Museum of Art, where Botstein, as music director of TŌN, leads Sight & Sound, a series of discussions and performances exploring the parallels between orchestral music and the visual arts. The orchestra is in residence at Bard’s Richard B. Fisher Center for the Performing Arts, performing multiple concerts there each season. Over 120 student clubs are financed through Bard's Convocation Fund, which is distributed once a semester by an elected student body and ratified during a public forum. Bard College has one print newspaper, the Bard Free Press, which was awarded a Best in Show title by the Associated Collegiate Press in 2013. In 2003, the Bard Free Press won Best Campus Publication in SPIN Magazines first annual Campus Awards. Student-run literary magazines include the semiannual Lux, The Moderator, and Sui Generis, a journal of translations and of original poetry in languages other than English. 'The Draft, a human rights journal, the Bard Journal of the Social Sciences, Bard Science Journal, and Qualia, a philosophy journal, are also student-published. Bard Papers is a privately funded literary magazine operated jointly between faculty and students. Other prominent student groups include: the International Students Organization and other cultural organizations, Anti-Capitalism Feminist Coalition, Body Image Discussion Group, Self-Injury Support and Discussion, Bard Film Committee, Queer Student Association, Trans Life Collective, Student Labor Dialogue, Bard Debate Union, Bard Model UN, Surrealist Training Circus, Bard Bike Co-Op, and college radio station WXBC. WXBC was founded in 1947. In 2006, WXBC was nominated for "Station of the Year" and "Biggest Improvement" in the CMJ College Radio Awards. Bard is also home to the Root Cellar, a completely student-run, multipurpose space that serves as an Infoshop, vegan café, and venue for small-scale shows. Bard has a strong independent music scene considering its isolation and size. The college's Old Gym was once a popular location for concerts and parties in the 1980s, 1990s, and early 2000s. In 2004, the Old Gym was shut down and in spring 2006 transformed into a student-run theater by students Brel Froebe, Julie Rossman, and Kell Condon. Many activities that once took place there now occur in the smaller SMOG building. SMOG is now primarily used as a music venue. Student-run theater is also popular: dozens of student directed and written productions are put on each semester and a 24 Hour Theater Festival is held at least once a year. Bard College teams participate as a member of the National Collegiate Athletic Association's Division III. The Raptors are a member of the Liberty League. Their past conference affiliations were mostly as an Independent, and the Skyline Conference, which the Raptors joined from the 2007–08 through the 2010–11 seasons. Men's sports include baseball, basketball, cross country, lacrosse, soccer, squash, swimming & diving, tennis, track & field and volleyball; while women's sports include basketball, cross country, lacrosse, soccer, swimming & diving, tennis, track & field and volleyball. One of the more popular non-varsity sports on campus is rugby. A club team, Bard College Rugby Football Club fields men's and women's teams that compete in the Tristate Conference. The most notable alumni of Bard include fraternal songwriters Richard M. Sherman and Robert B. Sherman, comedian and actor Chevy Chase (1967); Walter Becker and Donald Fagen of Steely Dan (1969); Patrick Kindlon of Self Defense Family, actress Blythe Danner (1965); filmmakers Gia Coppola, Todd Haynes (MFA); Herb Ritts, photographer; Christopher Guest, actor/director (This is Spinal Tap, Waiting for Guffman, Best in Show); songwriter Billy Steinberg (Madonna's "Like A Virgin," Cyndi Lauper's "True Colors," The Bangles "Eternal Flame"); Larry Hagman, actor, screenwriter; Gaby Hoffmann, actor; Anne Bogart, director; Howard E. Koch, screenwriter (Casablanca, Letter from an Unknown Woman); Jeff Preiss, filmmaker; David Cote, writer; Adrian Grenier, actor; Adam Conover, actor; Raphael Bob-Waksberg, comedian and creator of Bojack Horseman; Ronan Farrow, journalist who exposed the Harvey Weinstein scandal; writer and social theorist Albert Jay Nock, journalist and author Matt Taibbi, and Adam Yauch of the Beastie Boys. Among the most well known former faculty are Hannah Arendt, Toni Morrison, Heinrich Blücher, Roy Lichtenstein, Mary McCarthy, and Arthur Penn. ^ "Student Services". Bard.edu. Archived from the original on August 10, 2014. Retrieved August 9, 2014. ^ "Bard Athletics and Recreation". Bard.edu. Archived from the original on December 26, 2010. Retrieved July 8, 2011. ^ "At a Glance". Bard College. Bard College. Retrieved August 9, 2014. ^ "Bard College". The Princeton Review. Retrieved July 12, 2012. ^ "Institutes". Bard College. Archived from the original on June 29, 2012. Retrieved July 10, 2012. ^ Barrymore Scherer (August 5, 2009). "Undeniable Influence". Wall Street Journal. Retrieved July 10, 2012. ^ Steve Smith (August 21, 2007). "Overarchingly Elgar". New York Times. Retrieved July 10, 2012. ^ Hirsch, Felix (October 1941). "The Bard Family". Columbia University Quarterly. Bard College Archives, Annandale-on-Hudson, NY. ^ Kline, Reamer (1982). Education for the Common Good: A History of Bard College The First 100 Years, 1860-1960. Annandale-on-Hudson, NY: Bard College. p. 15. ^ Hopson, George (1910). Reminiscences of St. Stephen’s College. New York, NY: Edwin S. Gorham. pp. 16–17. ^ Magee, Christopher (1950). The History of St. Stephen’s College 1860-1933. Annandale-on-Hudson, NY: Bard College Senior Project. p. 38. ^ John Milner Associates Inc. (December 2008). Bard College Master Preservation Plan (Report). p. 27. ^ a b Kline, Reamer (1982). Education for the Common Good: A History of Bard College The First 100 Years, 1860-1960. Annandale-on-Hudson, NY: Bard College. ^ "Bard College Archives". Bard College. Archived from the original on June 1, 2013. Retrieved July 11, 2012. ^ John Milner Associates Inc. (December 2008). Bard College Master Preservation Plan (Report). p. 34. ^ Kirk, Russell (1963). Confessions of a Bohemian Tory. Fleet Publishing Corporation. p. 162. ^ a b c d "About Bard | History of Bard". Bard.edu. May 21, 2011. Archived from the original on June 14, 2011. Retrieved July 8, 2011. ^ Kline, Reamer (1982). Education for the Common Good: A History of Bard College The First 100 Years, 1860-1960 (PDF). Annandale-on-Hudson, NY: Bard College. p. 99. ^ Kline, Reamer (1982). Education for the Common Good: A History of Bard College The First 100 Years, 1860-1960 (PDF). Annandale-on-Hudson, NY: Bard College. p. 104. ^ Kline, Reamer (1982). Education for the Common Good: A History of Bard College The First 100 Years, 1860-1960 (PDF). Annandale-on-Hudson, NY: Bard College. p. 106. ^ "Hannah Arendt Center News". hac.bard.edu. Retrieved December 29, 2018. ^ Kline, Reamer (1982). Education for the Common Good: A History of Bard College The First 100 Years, 1860-1960 (PDF). Annandale-on-Hudson, NY: Bard College. p. 120. ^ Brunner, Rob (March 24, 2006). "Back to Annadale" (#869). Entertainment Weekly. Retrieved September 20, 2014. ^ "GHG Report for Bard College". American College & University Presidents' Climate Commitment. Archived from the original on January 27, 2013. Retrieved April 24, 2013. ^ "Facilities". Bard College. Retrieved April 24, 2013. ^ Kemble, William J. (January 13, 2016). "Bard College completes $18M purchase of Montgomery Place". dailyfreeman.com. Daily Freeman. Retrieved February 29, 2016. ^ "Bard College Catalogue". Bard College. Retrieved July 11, 2012. ^ "Language and Thinking". Bard College. Retrieved July 11, 2012. ^ "Language and Thinking Anthology". Bard College. Archived from the original on January 23, 2013. Retrieved July 11, 2012. ^ "Experimental Humanities 2018 » Requirements". ^ College, Bard. "Bard Class Profile". www.bard.edu. Retrieved July 26, 2018. ^ a b "Bard Class Profile". Bard.edu. Retrieved January 7, 2016. ^ "ICP-Bard MFA". May 16, 2016. Retrieved July 26, 2018. ^ Bloomberg (November 10, 2006). "Marieluise Hessel Builds a Museum at Bard for Her Collection". Bloomberg.com. Retrieved November 20, 2013. ^ a b "Bard Prison Initiative". Bard.edu. Archived from the original on August 9, 2011. Retrieved July 8, 2011. ^ "Maximum Security Education". CBS News. April 15, 2007. ^ "Bard College - Bard Fiction Prize". www.bard.edu. ^ Eichler, Jeremy (September 12, 2011). "After Longy-Bard merger, a music school peers into its future". Boston Globe. Retrieved August 9, 2014. ^ "History". Bard College Berlin. Bard College Berlin. Retrieved August 9, 2014. ^ Mark, Primoff (June 24, 2013). "Bard College and Soochow University in China Agree to Comprehensive Partnership, including the Creation of a Joint Music Program, Student Exchange, and the Bard College Liberal Arts Academy in Soochow University". News & Events. Bard College. Retrieved August 9, 2014. ^ Associated Collegiate Press. "ACP Best of Show Winners". Studentpress.org. Archived from the original on December 3, 2013. Retrieved November 19, 2013. ^ "The Bard Free Press". Web.archive.org. August 26, 2007. Archived from the original on July 19, 2011. Retrieved July 8, 2011. ^ "About WXBC", WXBC. Retrieved March 11, 2019. ^ "SMOG". Student.bard.edu. Archived from the original on December 11, 2008. Retrieved July 8, 2011. Wikimedia Commons has media related to Bard College.